This volume is designed as a guide for nonspecialists, providing the latest developments in the rapidly expanding field of experimental mass spectrometry. 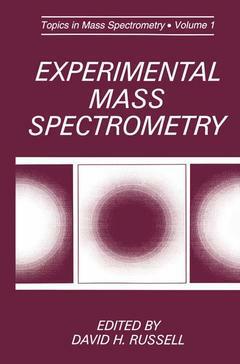 The text encompasses the major areas of modern biological mass spectrometry, and features a complete discussion of the applications of tandem mass spectrometry. Other topics covered include negative ion chemistry and organo-alkali metal ions, Fourier-transform ion cyclotron resonance mass spectrometry, and electrospray ionization and liquid chromatography. The Fragmentation of, (NH)- Ions Derived from Organic Compounds, J.H. Bowie. Gas-Phase Chemistry of Alkali Adducts of Simple and Complex Molecules, L.M. Teesch, J. Adams. Fundamental Studies of Collision-Induced Dissociation of Ions, A.K. Shukla, J.H. Futrell. Multiple Pulses and Dimensions in FTICR, T. Gäumann. Elucidation of Protein Structure and Processing Using Time-of-Flight Mass Spectrometry, A. Woods, et al. Electrospray Ionization Mass Spectrometry and Tandem Mass Spectrometry of Large Biomolecules, J.A. Loo, et al. Liquid Chromatography/Fast Atom Bombardment Mass Spectrometry, J.G. Stroh, K.L. Rinehart. Index.